There are commonly discounts on the market to senior citizen and modest kids. Find out by contacting your nearest pool in Rhineland-Palatinate. The most effective pools to swim are certainly indoor olympic pools. For Rhineland-Palatinate and its vicinity, we're showing you all the registered Chlorine Free Pools in Rhineland-Palatinate, some of them have no GPS coordinates and you are not obtaining them at the map. Are you on holiday and would like to keep fit and healthy? 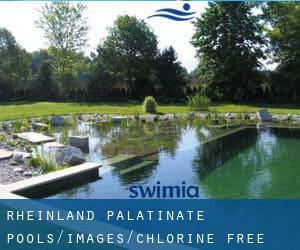 Swimia.com gives you the painless and quickest strategy to discover pool near Rhineland-Palatinate. The very best Swimming Pools are located mainly in large cities but it is also common to find public pools in rural areas. We presently have the following Chlorine Free Pools in Rhineland-Palatinate, but we are constantly grateful for any corrections or contributions. Get in touch by way of our get in touch with form. Without a shadow of a doubt, swimming in Trier is the best way to unwind following perform. Take a couple of minutes to browse Swimia's catalog to find a Pool in Trier. It's difficult to visit Rhineland-Palatinate with no dropping by Frankenthal (with 47.438 residents). Presently Swimia is showing you all the Pool in Frankenthal and the closest pools located in its vicinity. Let us tell you a secret to switch off whilst you happen to be in Speyer: just pick out a Swimming Pool in Speyer and plunge into the water! There's no more effective method. Im Neuenheimer Feld 710 , Neuenheim , Heidelberg , GERMANY (Postal Code: 69120). This sports center offers Olympic size x 25 meters, Non-Chlorine Sanitized, Indoors. For this Swimming Pool, only phone number is number here. Paul-Heyse-Straße 26 , Prenzlauer Berg / Friedrichshain , Berlin , GERMANY (Postal Code: 10407). Few days ago a standard user of this center told us they offer Olympic size x 25 meters, 10 lanes, 3 meters depth, 3 meters depth, Non-Chlorine Sanitized, Indoors. Furthermore, they keep in good conditions Olympic size x 25 meters, 10 lanes, 2 meters depth, 2 meters depth, Indoors. For this Pool, only phone number is number here. Updated on 2019 Aussenalster , Bostelreihe 2 , Hamburg , GERMANY (Postal Code: 22083). Among all of the activities offered by the center, if you are thinking about swimming you will enjoy 25 meters x 10 meters, Non-Chlorine Sanitized, Indoors. If you must get in touch with this Pool, e-mail address and phone number are both number. Hemelter Straße 38 , Rheine , GERMANY (Postal Code: 48429). Swimmers like you reported 25 meters x 12.5 meters, Salt Water, Non-Chlorine Sanitized, Indoors. Unfortunately we do not have the e-mail address of this Pool, but we can give you the phone number.